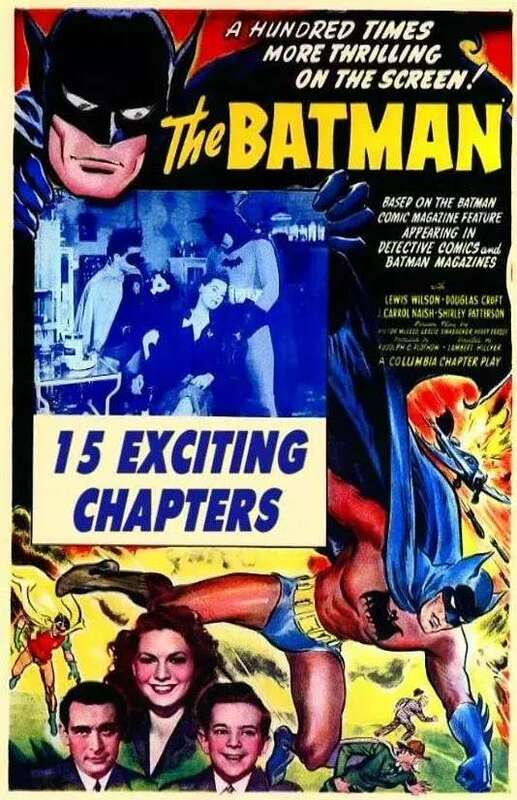 The penultimate chapter sees the serial keeping to the idea of Batman taking the fight to Daka, but not with the same intensity or determination as in Chapter 13. That said, he’s still more proactive than he’s been for most of the serial, although in doing so, Robin continues to be sidelined: when Batman goes to the old house, Robin has to wait in the car! The increased sense of urgency about the narrative still throws up the odd anomaly, though, with the capture of Daka’s men and their subsequent incarceration in the Bat Cave – alongside the still restrained Bernie (Jackson) – proving as unnecessary as the death of Marshall in Chapter 12. Both these sequences serve only to stretch the running times of their respective installments, and with The Executioner Strikes replaying around three minutes of Chapter 13 at the beginning, the need for so much filler remains disconcerting. The whole approach seems to support the idea that the writers didn’t have a great deal of time to put everything together, and as a result, the serial’s structure has no choice but to feel haphazard. This episode also highlights other ways in which the narrative appears to have been made up from chapter to chapter. Daka’s pursuit of radium – given so much emphasis during the serial’s first half – could be regarded as forgotten or surplus to requirements now, seeing how unimportant it’s become. Elsewhere, Linda’s involvement in the plot to trap Bruce Wayne doesn’t make sense (she has to arrive in a crate but can leave on her own two feet), and it’s troubling that a note can be left for Bruce at his home when neither Daka nor his men have any idea where Bruce lives in the first place. As we get nearer to the culmination of the whole saga, the writing has become noticeably lazier, and the urgency of the material is proving to be unequal to the task of papering over these obvious cracks. Hillyer is still plugging away, doing his best, almost refusing to let things get the better of him, but he’s hamstrung by the increasing paucity of the material. And even the nature of Batman’s intended demise, normally the source of mild conjecture as to how he’ll escape certain death, is here rendered moot by a narrative sleight of hand that won’t fool anyone, and which means there’s no need to ask, just how is Batman going to survive this time…? Rating: 6/10 – the inconsistency of the serial as a whole is rendered vividly by the events of Chapter 14, and the misplaced energy employed in presenting them; with just the final episode of Batman left, there’s continued momentum but sadly it’s at a disservice to the story and the characters.